This big five ounce bar of soap-on-a-rope from Avon has a fresh fragrance that will have any man smelling as sweet as the great outdoors! 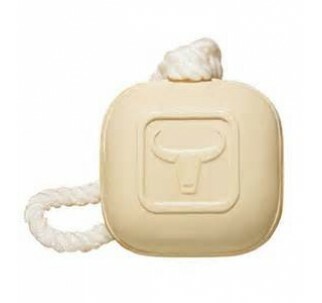 This rectangular bar is a natural tan color and features Avon's steer logo and a soft brown rope. Makes a great gift for dads, grandpas & uncles who like the outdoors!